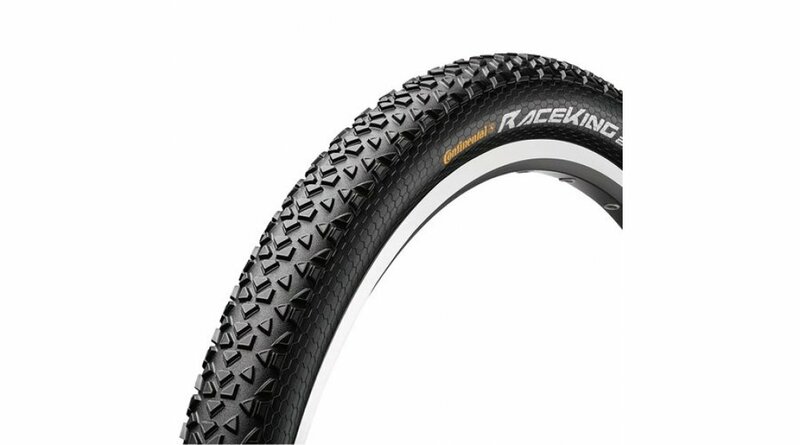 The Race King, here in the version as a clincher, is a classic competition tire that feels comfortable in cross country World Cup or on marathon routes. He has a low rolling resistance, has a good self-damping and brings only low weight on the scales. That makes him the right choice for every racebike. It has excellent puncture protection due to its high-quality three-layer tubeless-ready carcass. Thanks to PureGrip Compound it develops excellent grip and achieves a high mileage. On the basis of the activated silica compound, a targeted effort was made to create a mix technology in the performance segment. The result of the Korbacher Continental R & D department, after intensive development, resulted in a new compounding technology with excellent grip and cross-country skiing characteristics. The new rubber compound with the self-explanatory name "PureGrip" ranks behind the BlackChili compound and is used in performance products of the Race and Mountainbike segments. Here it ensures long-lasting traction and high mileage of Continental tires, which are manufactured exclusively in the production plant in Hefei (Asia).